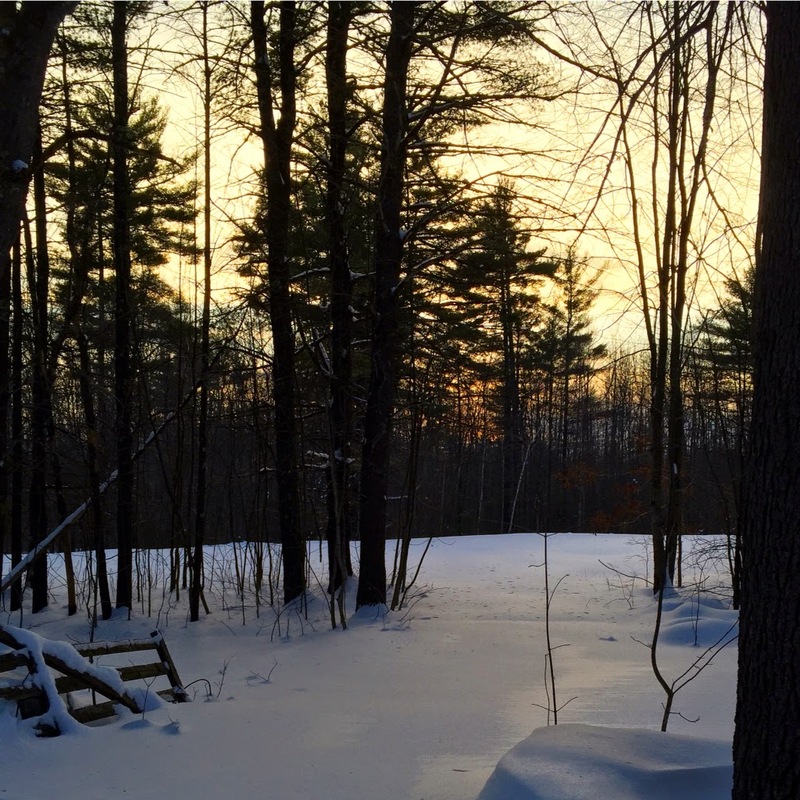 If you, too, live in New Hampshire, you know that it's been snowing here... A LOT! 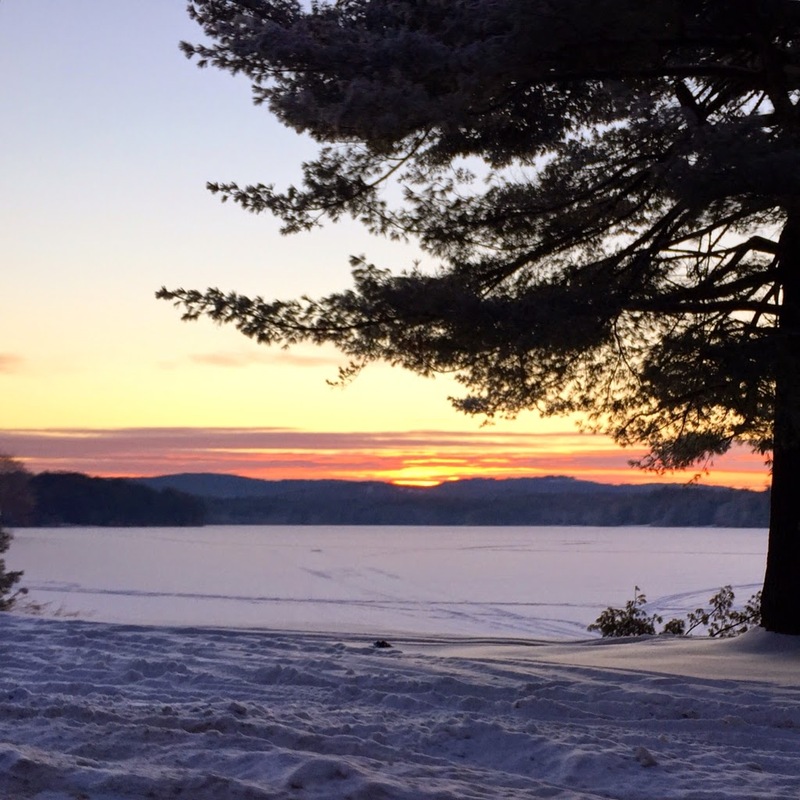 We've had several snow storms over the past week or so, and another big one is on its way. Keep those shovels handy and snowblowers at the ready! This week brought two snow days. I'm not sure if this is common knowledge, but teachers (at least the two that live in my house) love snow days as adults just as much as when we were kids! 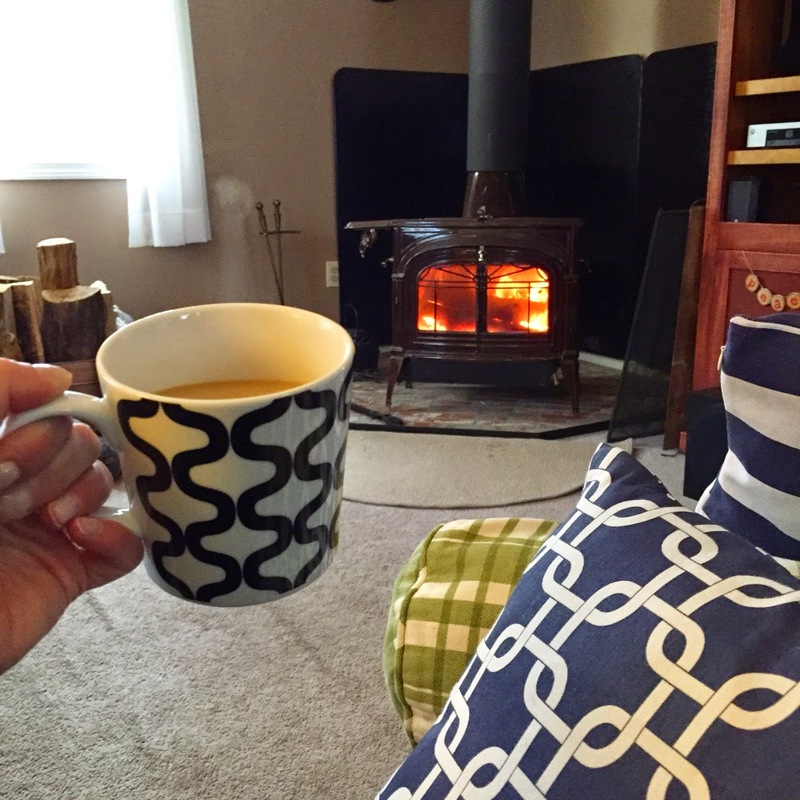 The idea of cuddling up on the couch with a dog, a good book or a movie, fire going strong and nowhere to go is pretty much the best thing ever. Yes, there is the shoveling- and lots of it- but if you think of it as exercise to burn off the calories of all of the gummy bears you've been eating (is that just me?? ), then it's not so bad. 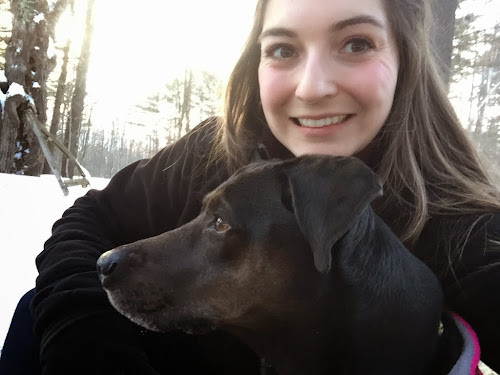 Finally, on Thursday, Lucy and I got out for a real walk. 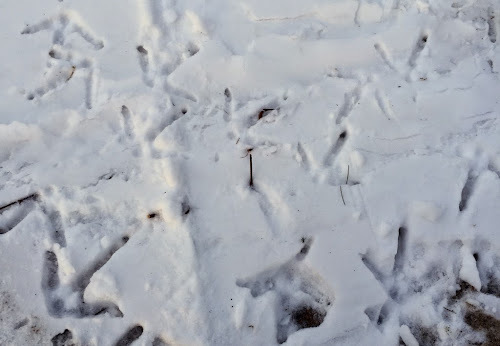 I loved the snowy sunset, and we found tracks of our local neighborhood wildlife! Turkey tracks always seem SO big! Yesterday at school, we had our annual Wellness Day. One early release day afternoon a year is dedicated to our choice or choices of fun activities to promote happiness, relaxation, creativity, and team building! Choices included activities such as ethnic cooking, bowling, line dancing, knitting and crocheting, technology workshops, snowshoeing, and archery. 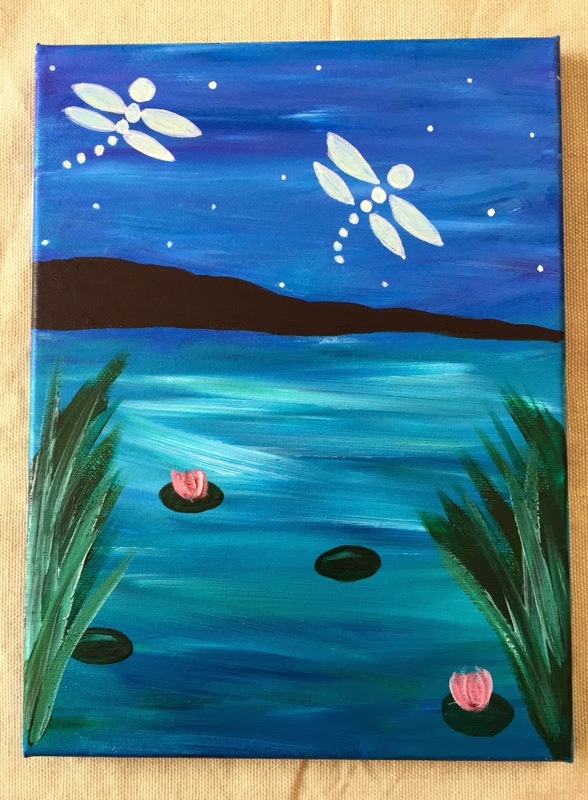 I chose a yoga class and a painting class, both of which I really loved! 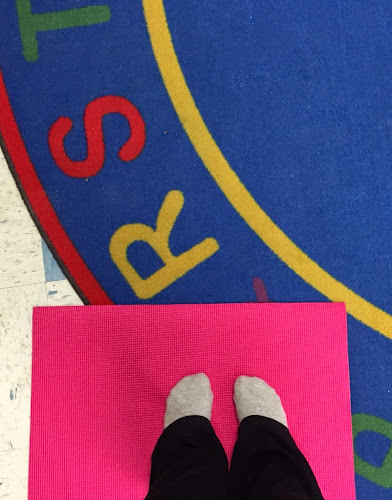 I have only done yoga a handful of times, but I always leave feeling like I want to do it more often! Welcome to yoga in a preschool classroom. The afternoon was such a great way to end a week! I really enjoyed it, and love how my painting ended up coming out! Rich and I had to do some errands today, ending in unwinding over dinner at one of our new favorite restaurants. I loved these little oil ball jar lamps on the tables! While out and about, we also stopped off at the craft store to pick up supplies for a few new projects. More to come on that! Suffice it to say, lots of spring colors are involved. Did you know we're just about halfway to spring? I say, bring it on any time! 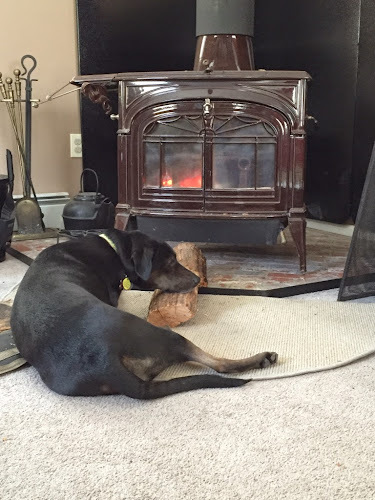 In the meantime, you can find Lucy curled up by the fire... using a log as a pillow. Not pictured: her bed about a foot behind her. I guess whatever makes you happy? Stay warm, friends! 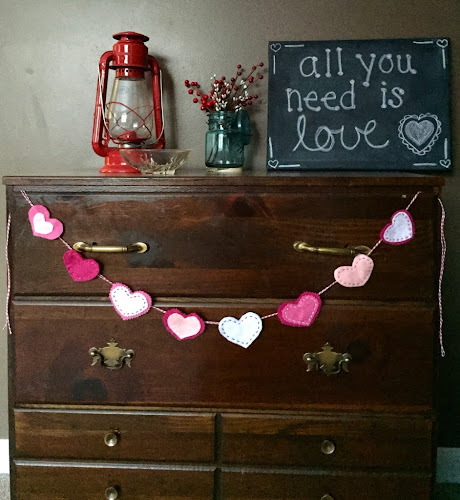 For someone who loves pink and girly things, I don't have a lot of Valentine's Day decor. 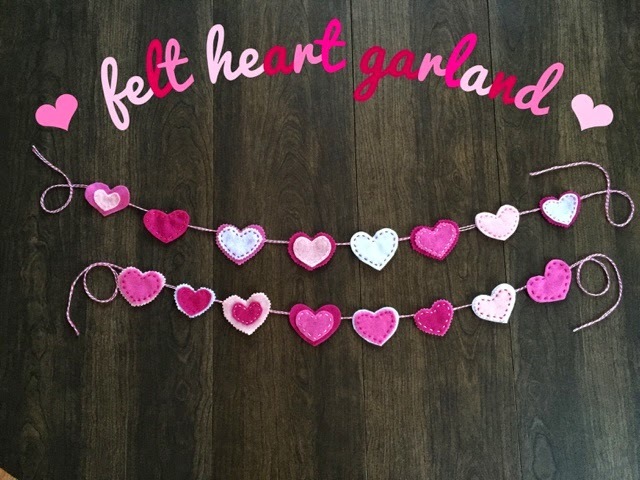 I browsed Pinterest for some different ideas for Valentine's Day crafts (I talked about that here), and decided to start with a felt heart garland. Since we were expecting a snow storm last weekend, I stopped off at the craft store on my way home from school on Friday to pick up some supplies. 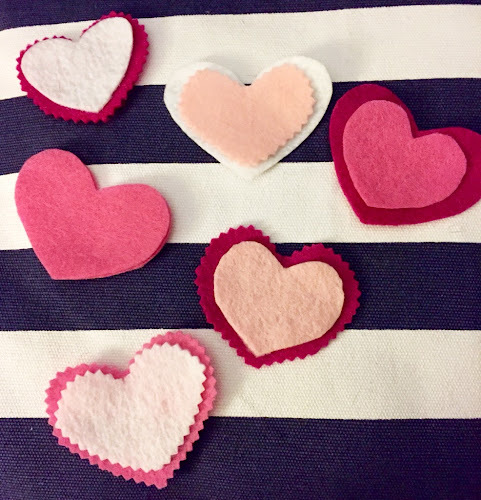 I love to have a good project to work on while watching a movie or catching up on DVR, so it was a perfect opportunity to play around with my new pinking shears and some pink and white felt. While I was at it, I picked up some pink berry sprays with half-completed wreath in mind. I actually started working on it about a year ago, and had never settled on a purpose for it. Who knows? 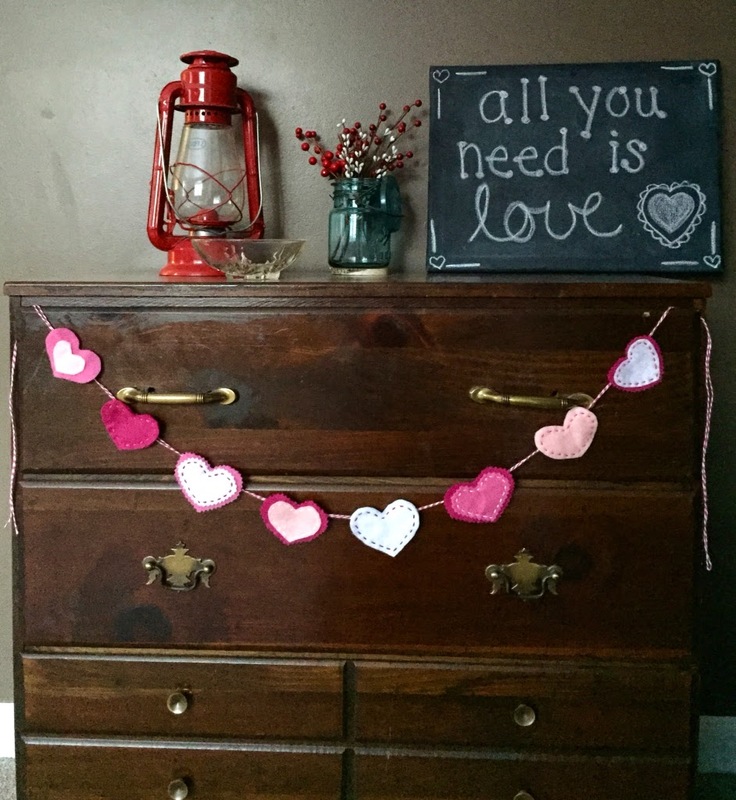 Maybe I can turn it into another Valentine's Day project. Anyway, I got working, cutting out some hearts in all of the different colors, using both regular and pinking scissors. I folded the felt in half and cut the teardrop-like shape of half a heart. This ensures that they are symmetrical, but I did need to touch them up sometimes. If you aren't comfortable eyeballing it, you could certainly trace a stencil with chalk or marker, and then flip them over so you couldn't see the outline. I went with about 3" across in size, but it is totally up to your preference. I wasn't too worried about perfection, I really just planned out which type of heart it would be before cutting them. I wanted some with the pinked edges and some with straight edges, some with both. I made some all one color and most two colors. 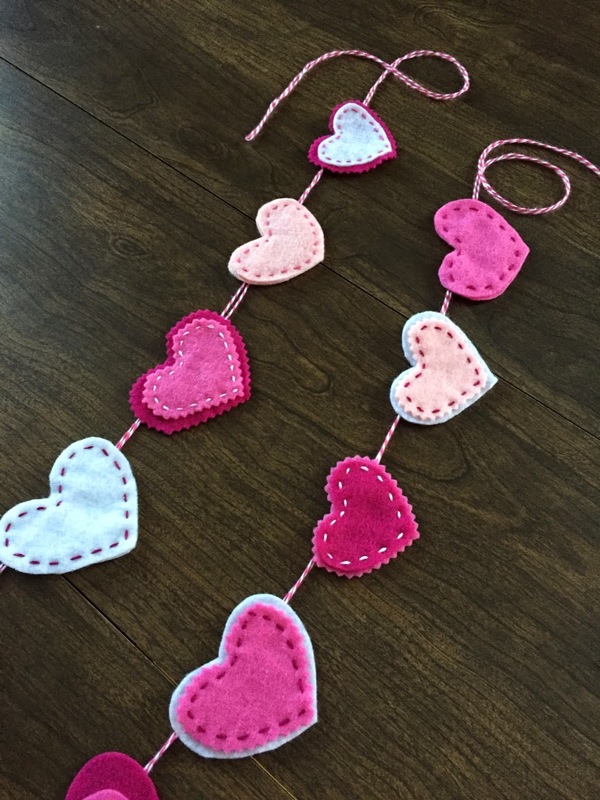 As I went along, I tried to use each color equally, for both the center and border colors. Again, I didn't feel like it needed to be perfectly scientific, but I did count the times each color was used to ensure balance. In total, I made 16 hearts, but not for any specific reason. Follow your heart (see what I did there?) and make as many as you want. Before I put everything away, I laid them all out on the floor and tried to make sure I had enough of every color, and not too many or few of one color in particular. 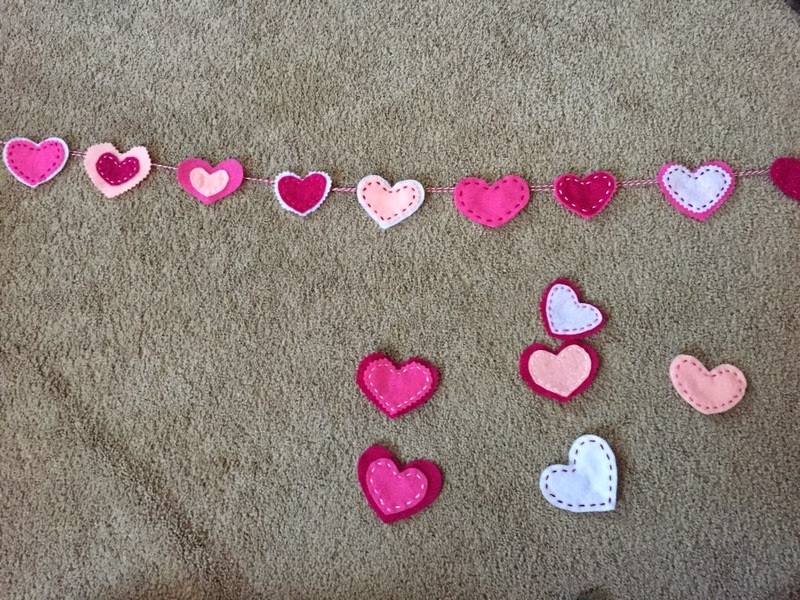 At this point, I wasn't sure if I would make two smaller or one larger garland, but it was helpful just to see them all laid out. 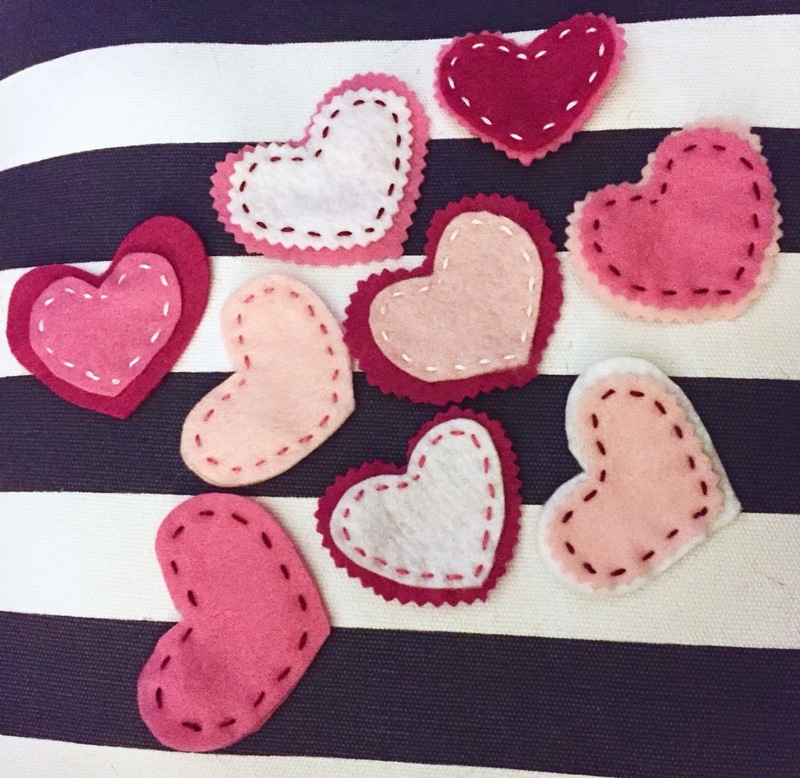 The next step was to sew the hearts together. You could do this in many different ways. I don't have a sewing machine and wanted the look of more handmade, large stitching in a contrast color, so I went that route. I used embroidery floss and ended up spitting it in half to thread through my needle. 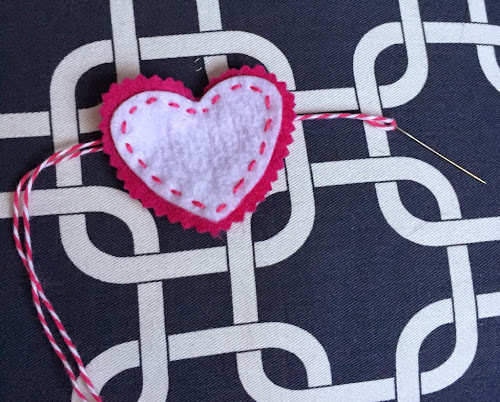 The thread I bought had 6 individual strands, so I just cut the length I wanted and split it in half, saving the other half to use for another heart. I just chose a color that contrasted well, and got to work, sewing around the smaller heart to make a stitched border. 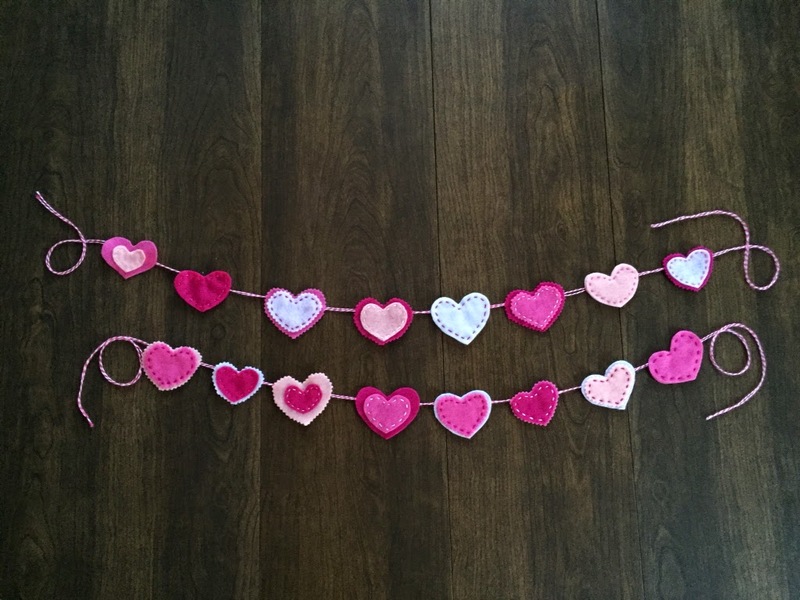 The next thing to do was to determine what I would string the hearts onto. I have tons of pink bakers' twine leftover from wedding crafting, so I decided to use that. I think there are a few ways to complete this step, and depending on what you are using to hang them on, some ways might work better than others. 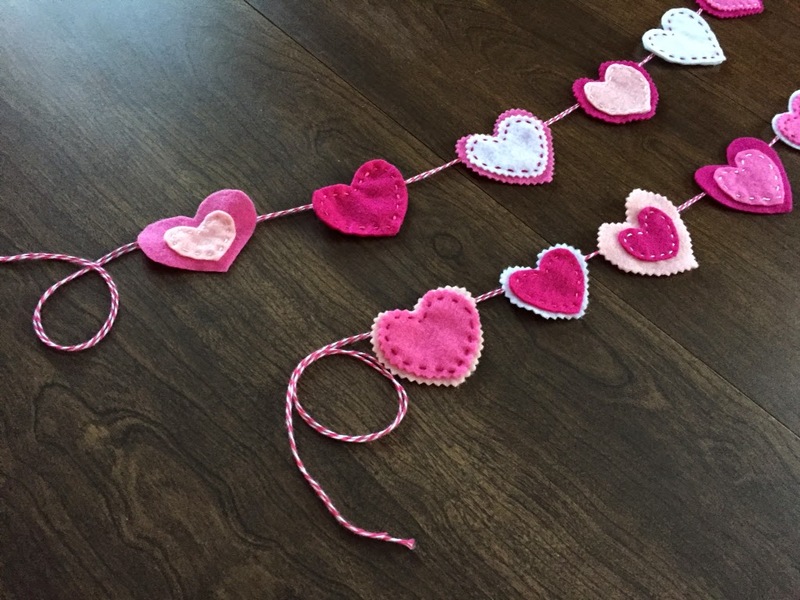 I had contemplated using some pink polka dot ribbon that I had on hand, but I wondered about the one-sided ribbon laying flat, and how I would attach it. I think hot glue would have worked, but I'm not sure how it would have looked. Let me know if you try it! I laid the hearts out in the order I wanted to go with, and measured the length of twine I'd need. 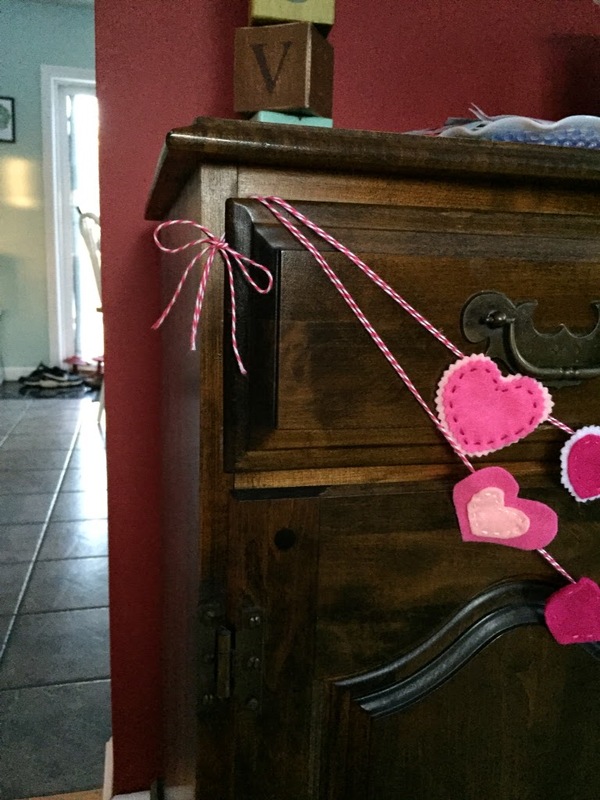 I used a needle to thread the hearts onto the twine, which seemed to work okay. 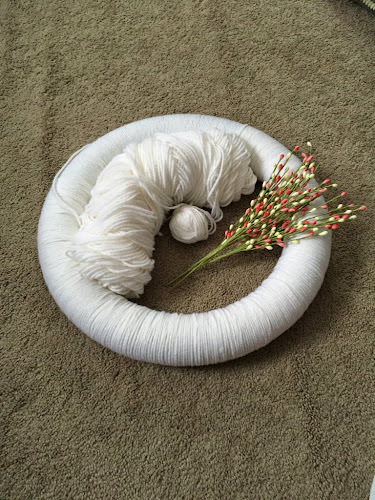 You'll need a needle with a bigger eye, since the twine is definitely thicker than traditional thread. I ended up using another needle to bend open the eye a bit more, but maybe you have a needle that will work. 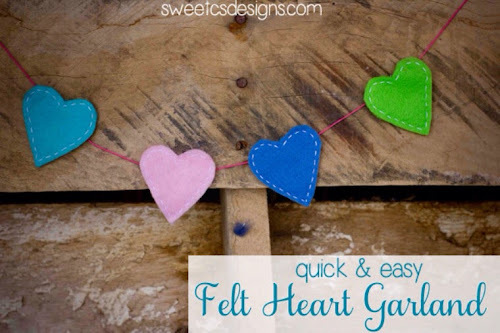 It's important to thread the twine at the top of the heart, so that they hang nicely. I did the first couple through the middle, and they kind of flipped around and hung off kilter when I held up the twine to look at it. Fortunately, they're easy to take off, and redo. I ended up trying to string them as close to the top as I could, but below the stitching line (pictured above). 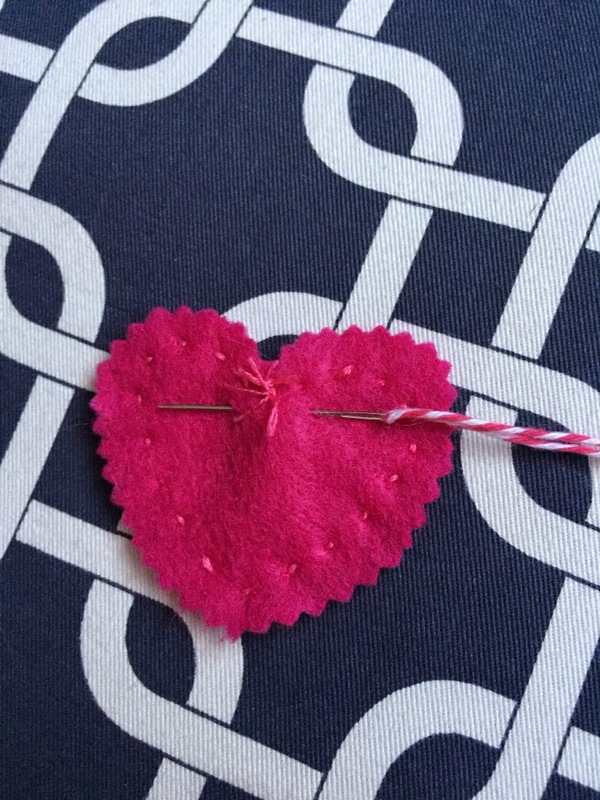 Since I only threaded through the back heart, I didn't want to see the thread coming across the top where it was only one layer. Since the hearts will slide easily on the thread, don't worry about spacing as you go. The twine is thick enough that the hearts will stay put where you place them, without needing to secure them by sewing them or gluing them in one spot. I just threaded them all on and then slide them into place, evenly spaced. That made this step pretty quick. 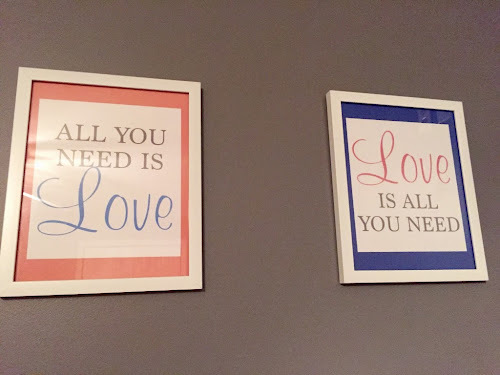 The last step is to hang them! 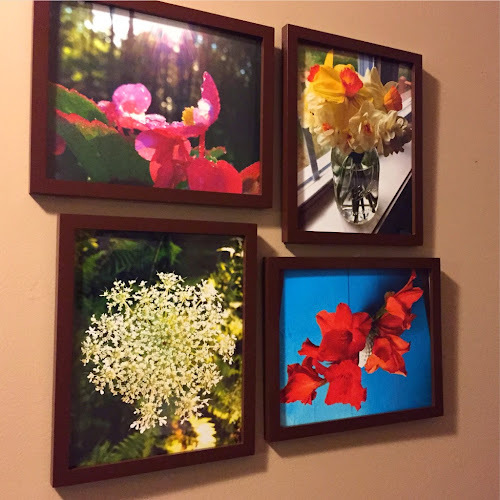 I tried both layering two together and hanging them separately, and liked the look of both options. I left one hanging on the hutch base that was my grandparents'. It also has these LOVE blocks on top. I decided to hang the other on a dresser in the living room. This holds board games, DVDs and BluRays, and Rich's PS3 games. 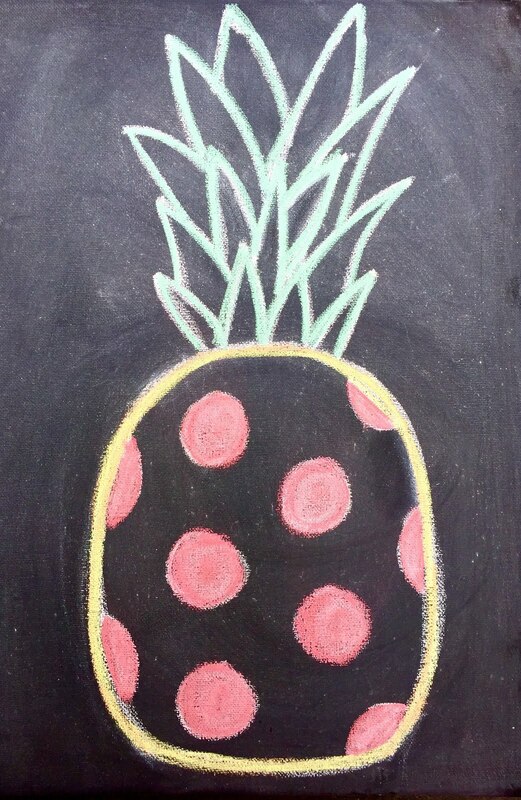 It's also home to my chalkboard canvas. I have tons of felt leftover, so I may make another one or two, since I loved the layered look. For now, I decided to spread them out in two different spaces. I'm really happy with how they turned out! This was a pretty simple project that was done over the course of a few sittings. I'd say it took a couple of hours total. Here's what you need to make your own! 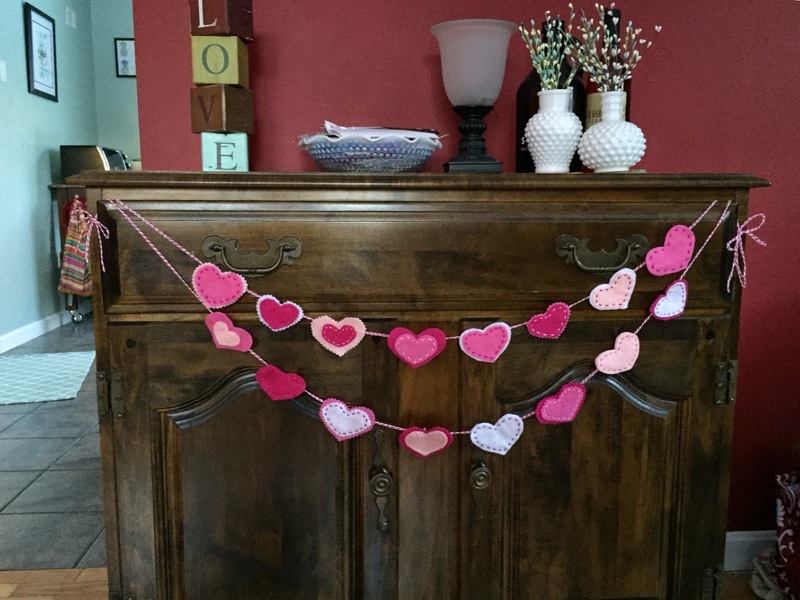 Note: I purchased pinking shears for this, but since I will use them for plenty of other projects, I didn't count them toward my cost. I believe that I paid around $10 for them, using a coupon. 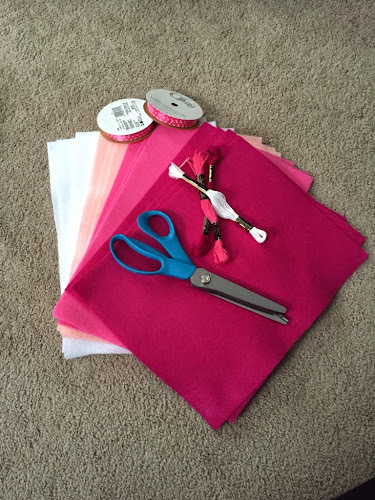 Helpful Hint: Use smartphone apps for your craft stores for coupons, and if you're a teacher like me, apply and use a Teacher Rewards Card (both of the craft stores I shop at offer 15% total purchase, every day) It's a great way to save! I hope you give this a try, and let me know how it goes! 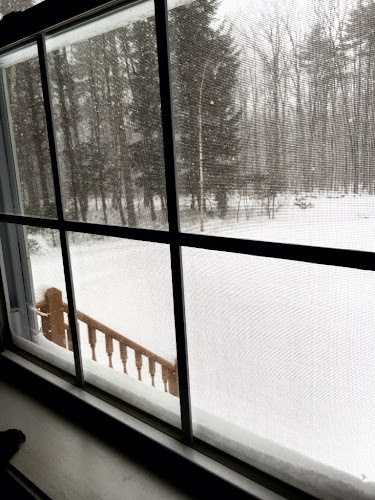 Here in New Hampshire, we're getting quite a snow storm today! Some parts of the state are predicted to get over 2 feet of snow. While we're slated to get a little bit less than that, it's still a considerable amount. I'd estimate that we have a foot already. With schools cancelled and an official State of Emergency called, we're staying home and hunkering down! We woke up this morning to our power going out at about 6am. I was pretty bummed I hadn't gotten up earlier and make coffee! Fortunately, it was out for only a couple of hours, and Rich was able to light the woodstove by light of the flashlight, so at least we would be warm while we waited it out. I'm happy to have the lights back on, coffee going, and a warm breakfast! The wind is blowing and we have several hours of snowfall ahead of us, so we're happy to hang out inside and stay warm and dry! 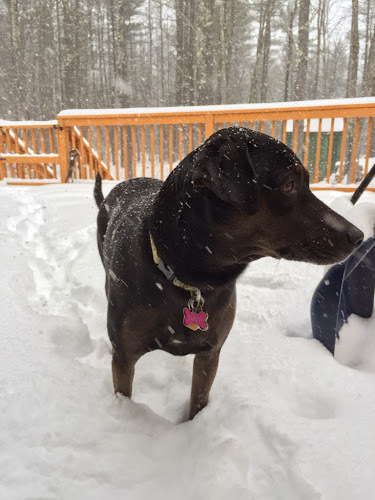 Lucy and I headed out early this morning to take a potty walk, but she was pretty motivate to get back inside as soon as possible, not even staying out with me to shovel the quick path to the gate... Which is now completely snowed over again. In closing, Lucy would like to share her tips for a successful snow day. Step 1. 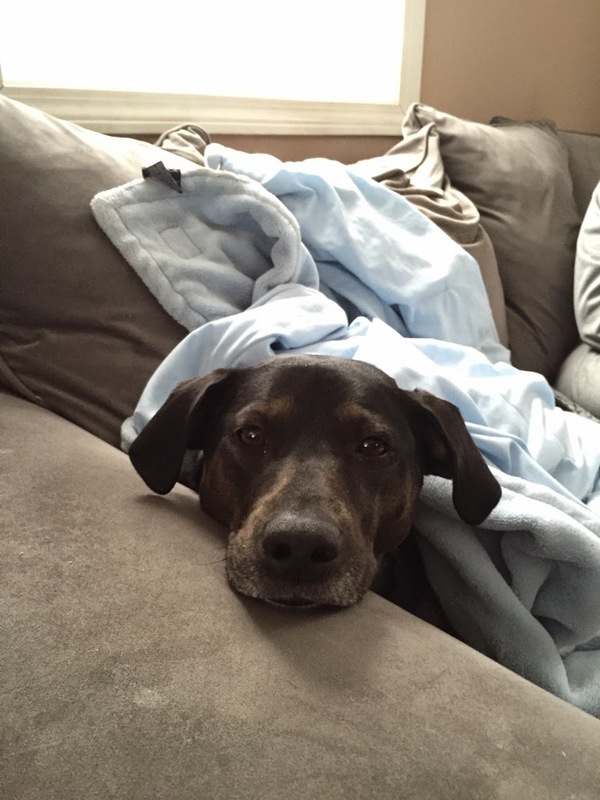 Snuggle up on the couch. Step 2. 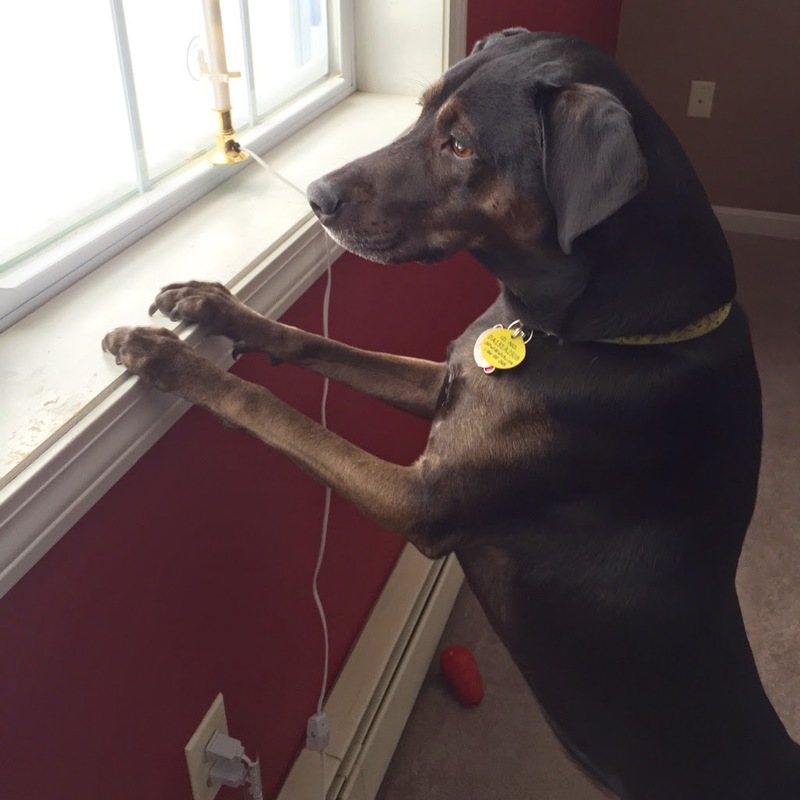 Patrol the yard for any action, assess snowfall, look for the town plow truck clearing the road. Step 3. Go outside to investigate and run in the snow, quickly decide it's too cold. Come back inside. Return to Step 1. If it's snowy and cold where you are, I hope you can stay inside and warm, too! Until it's time to shovel, that is! Valentine's Day is such a fun holiday to decorate for! 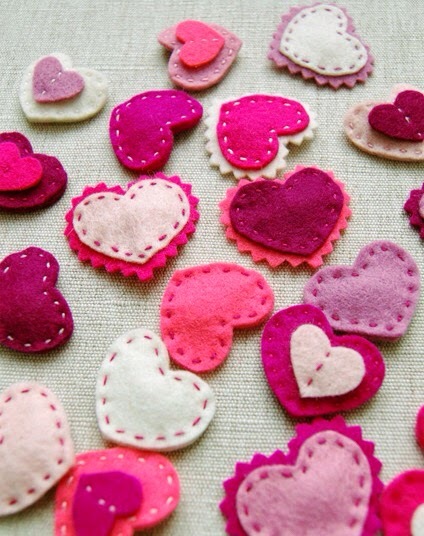 Of course, there's a lot of pink and girlyness, and I love that. While I don't do a lot, I like to add a few touches to our home. I updated the chalkboard canvas in our living room, to start. 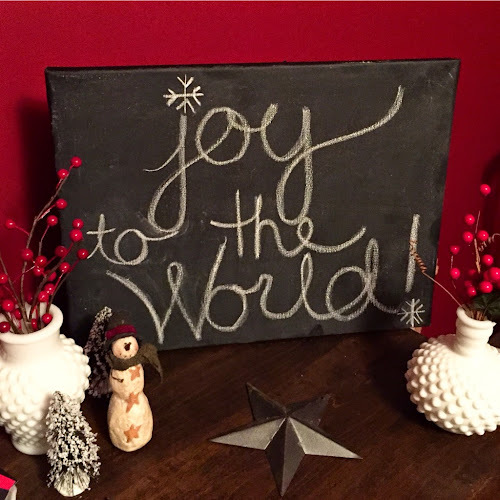 For Christmas and the new year, I had a simple, snowy Joy to the World! 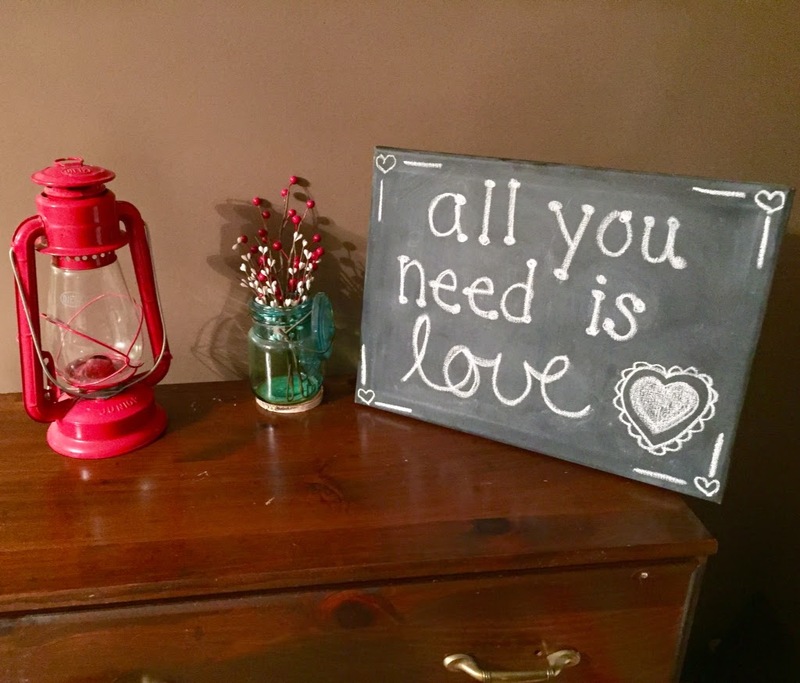 This time around, I added a lyric from a song that's popular in our house, due to Rich's fondness of The Beatles. I mean, who doesn't have a soft spot for them? 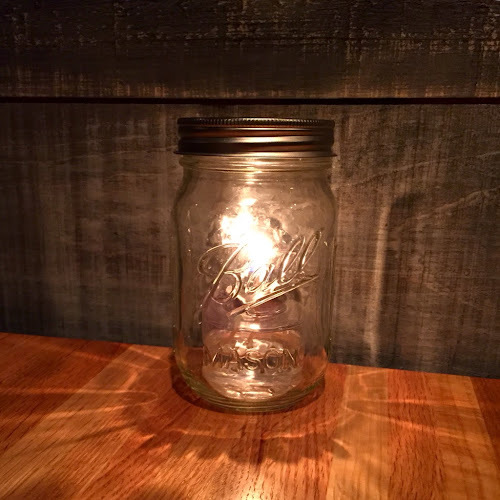 I set it out with this vintage-y red lantern, and red and white berry sprays in my antique blue Mason jar. We have this quote hanging in our bedroom, too, on two prints that I made up a year or so ago. Sorry for the horrible photo quality, apparently our bedroom lighting is difficult to photograph with? 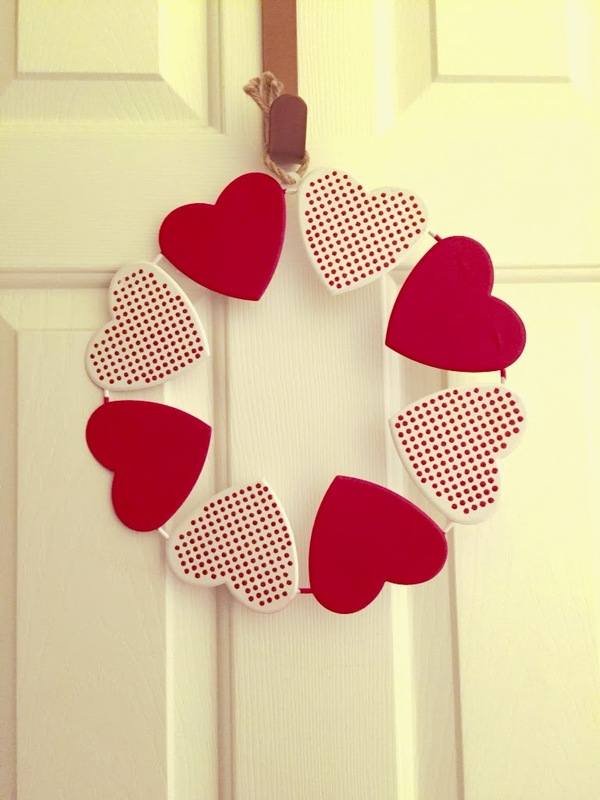 I also picked up this adorable tin wreath at Target recently. Naturally, I fell in love with the red polka dots! 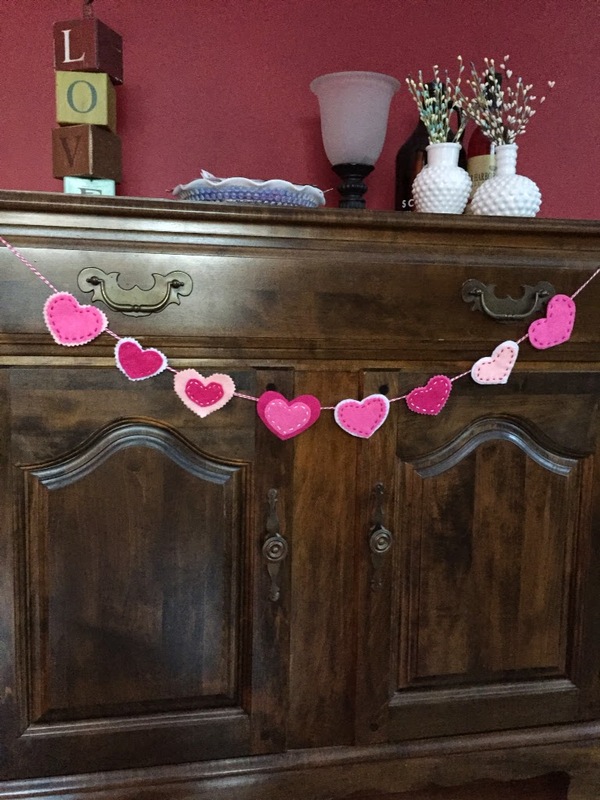 I love these hearts, too. She made them into barrettes, but I like their layered look. 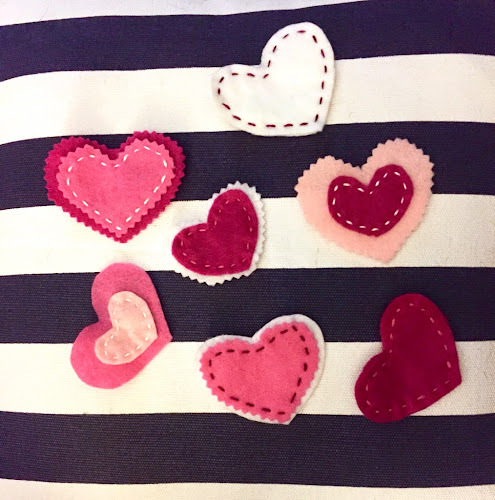 Stay tuned- if I manage anything cute inspired by these, I'll let you know! On a completely unrelated note, we've been slowly but surely getting some more things up on our walls, and shuffling things around a bit to make it work. One thing I've wanted to do for a long time is frame some of my photos. I love to take pictures of the flowers grown in our gardens, and am excited about the new group of framed photos on our hallway wall! Lastly, I have a bit of a drive to and from school every day. Usually, I listen to NPR and catch up on news or other interesting things, or jam out to some loud, upbeat music. When the weather is yucky, it's not a fun time, but when it's a nice day, I don't mind it much. I pass a few lakes and other pretty sights, and caught this sunrise the other morning. Just beautiful! What a way to start the day. Don't worry, I turned around and pulled over. I can't take photos at 50mph. When we moved into our apartment, and also then our house, we inherited a lot of our furniture and other items from my grandparents, and also some from my parents. We were fortunate enough to be able to shop through their items, which were in storage, and use as much as we could. 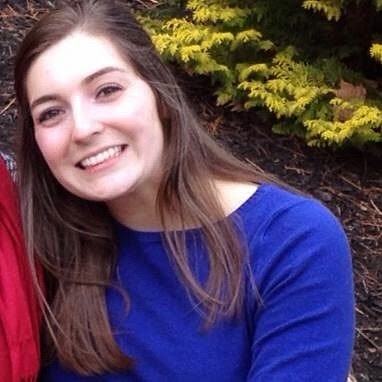 I felt great about giving a second life to their things, too! I love that we have their dining room set, complete with hutch base, beautiful living room end tables, bureaus, among other things. It was so helpful to have so many things to get us started. As we continue to work to make our house fit our style, I'm trying to take on projects of all sizes. The kitchen was a larger project, with plastering, painting, baseboards, and trim work. 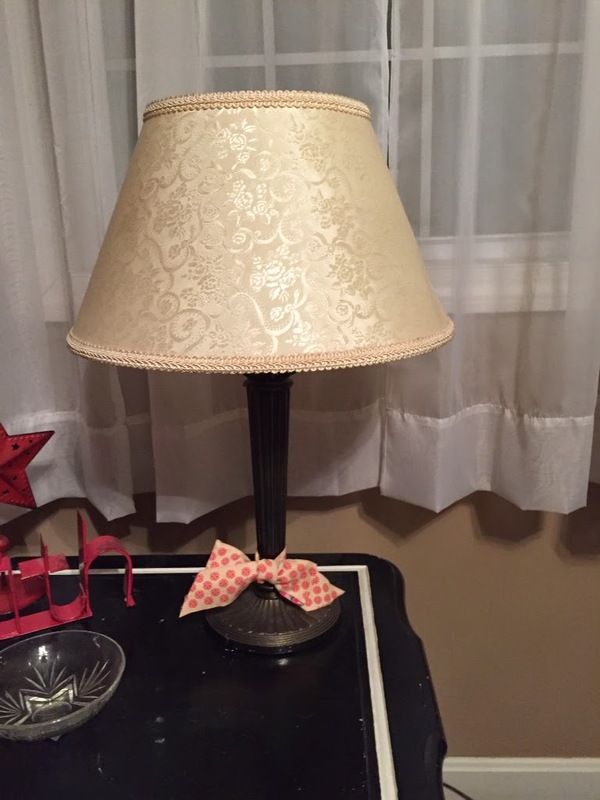 A small project I tackled the same week was to revamp a lamp, also from my grandparents' collection. 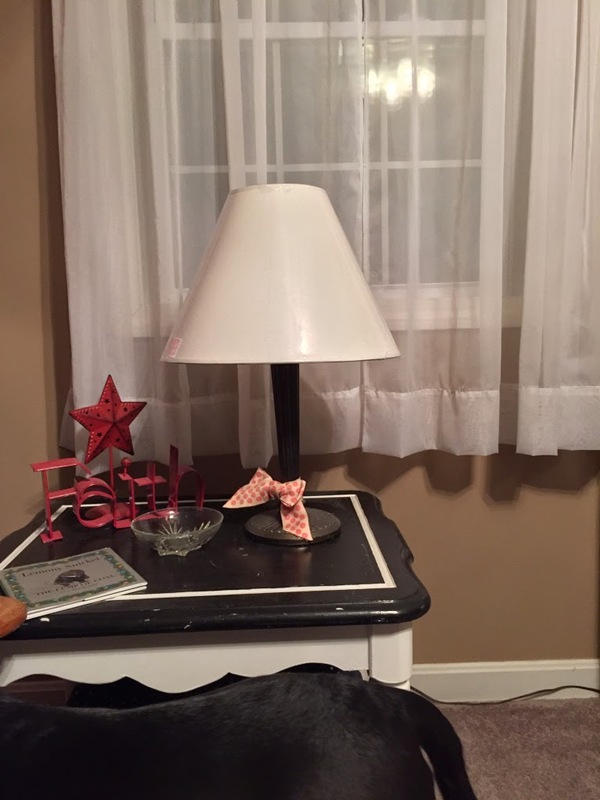 While the lamp itself is pretty harmless, the shiny floral texture shade was really just not our style. Also, I am trying to use more crisp whites as opposed to cream colors, so I wanted to try a white shade. Then I got thinking about adding some color along with a big print, to jazz it up a bit. I just got some new navy and white pillow cases for some of our throw pillows, and wanted to work in more of that color. 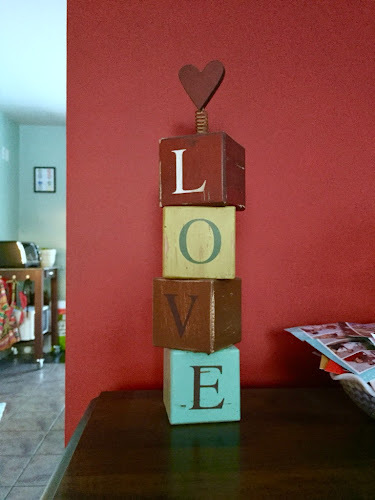 Since we have a red accent wall in the living room, I have to be aware of working with that, along with the taupe-gray walls and gray couches. Other than the red wall, there isn't much for color in that room, so I am working on bringing more in. 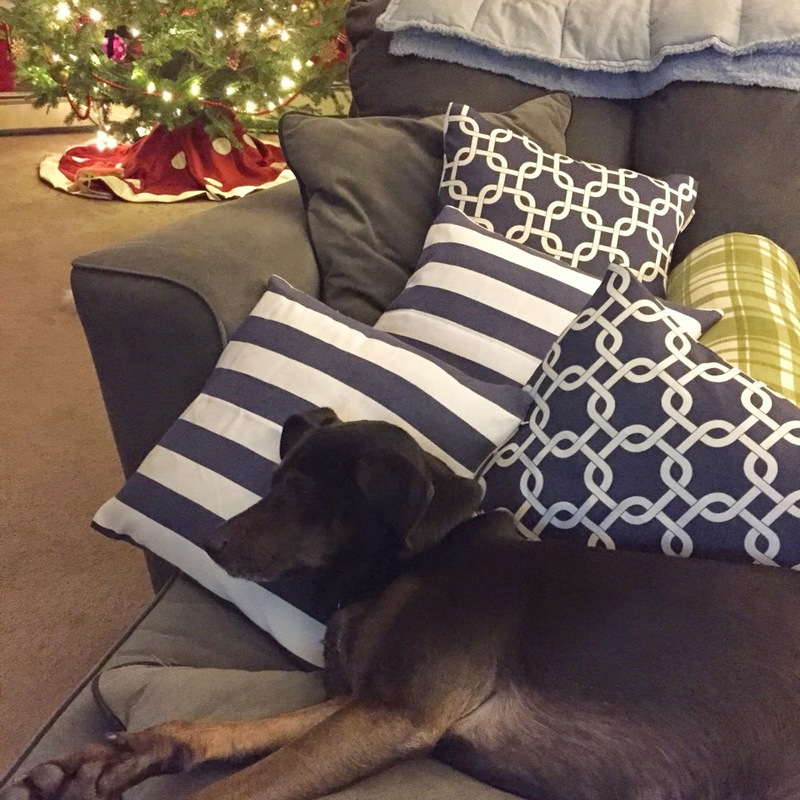 Lucy modeling the new pillow covers. This picture was from a few weeks ago, so don't worry that we have a super dried up fire hazard in our living room. The tree is long gone. Ignore the shiny plastic wrapper, it's matte in real life. 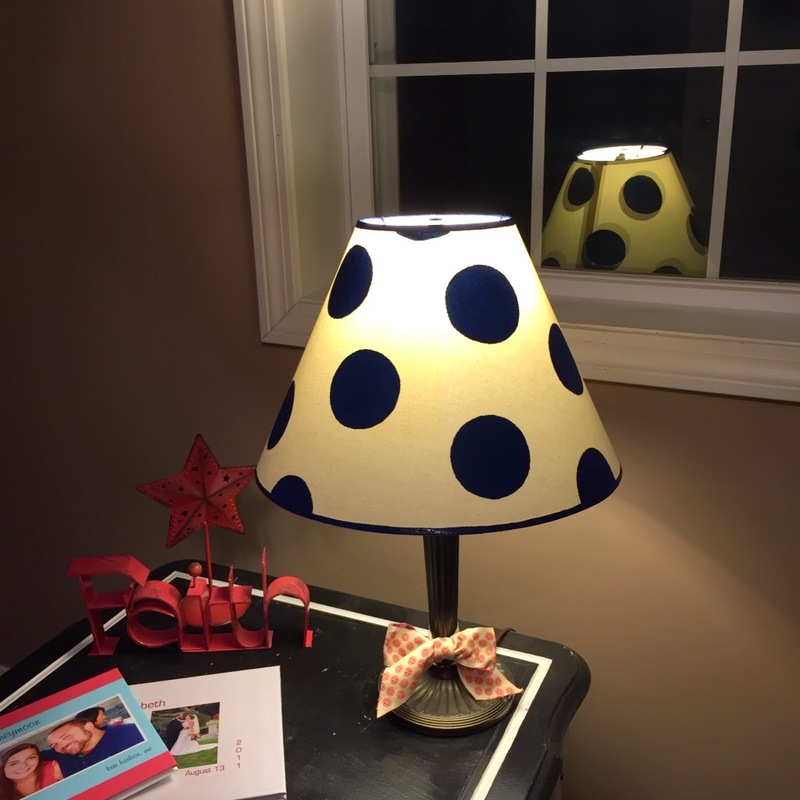 Once I found a new, white lampshade in the right size and shape, I knew I wanted to add some polka dots. After looking at some different sizes, and even thinking about dots in a patterned design, I decided on some big dots all over. I looked around the house for something to use as a stencil an settled on the inside of a roll of duct tape. 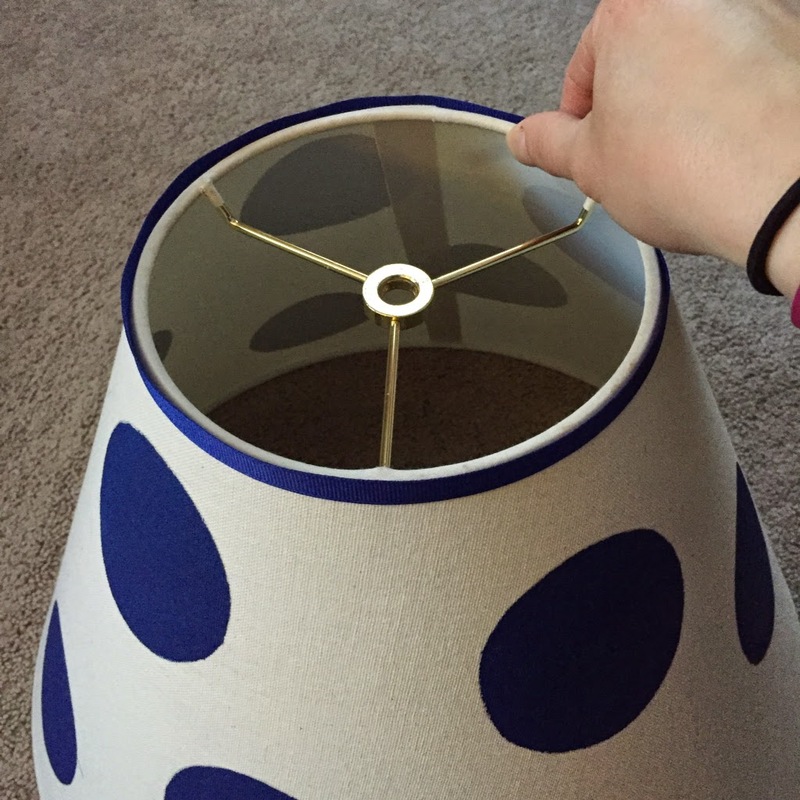 I used a pencil to trace circles all over the lampshade. I didn't measure or really plan, just eyeballed the spacing, which worked out just fine. Writing lightly, erasing was possible, but I definitely tried to avoid it, as it was hard to make the lines completely disappear. 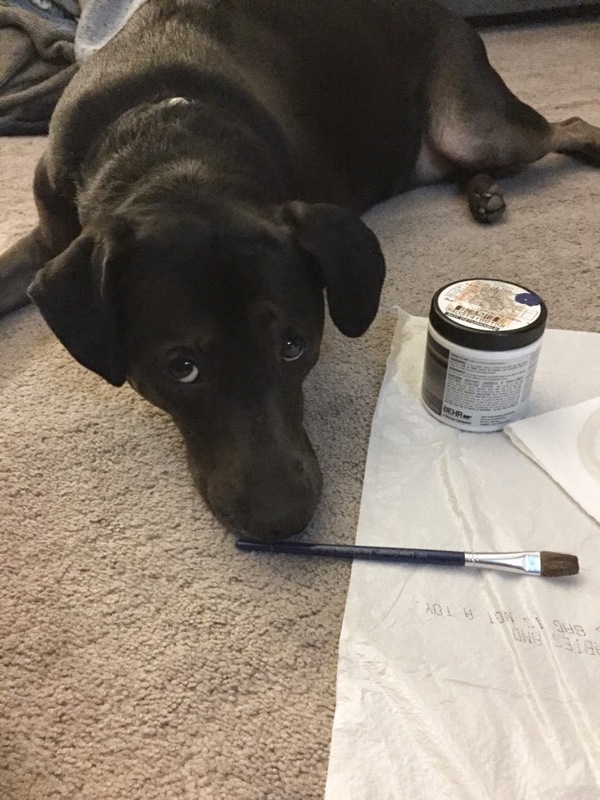 Oh, and it helps to have a super cute project helper! After I finished drawing the circles, I just got painting. I used a pretty small brush and worked really carefully around the circle edges. 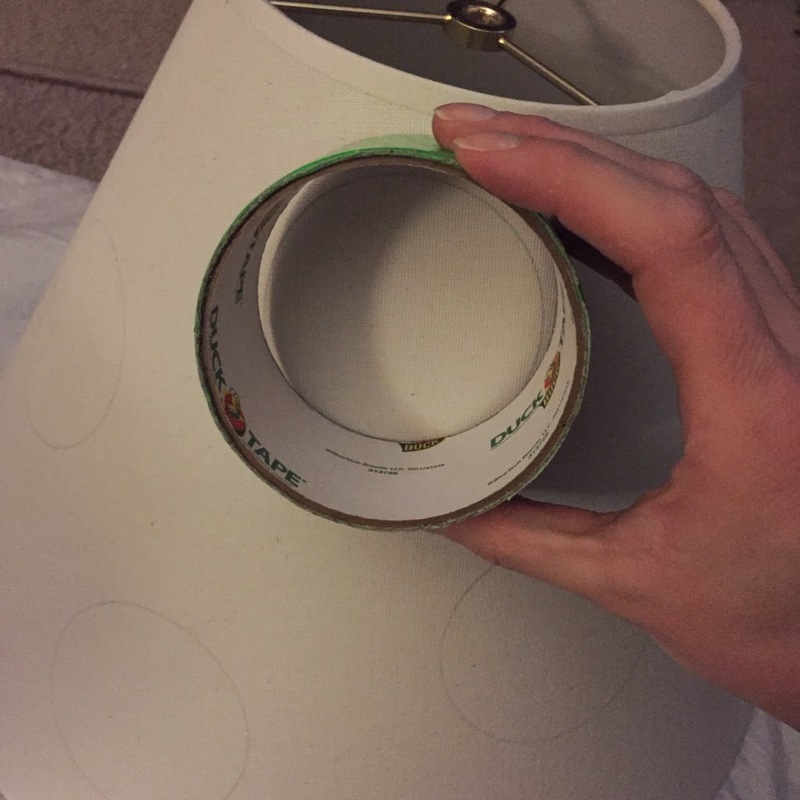 While it's a bit forgiving if you go slightly out of the lines, since you could just repaint the whole circle edge, it's still easier to just work slowly and carefully to stay in the lines. 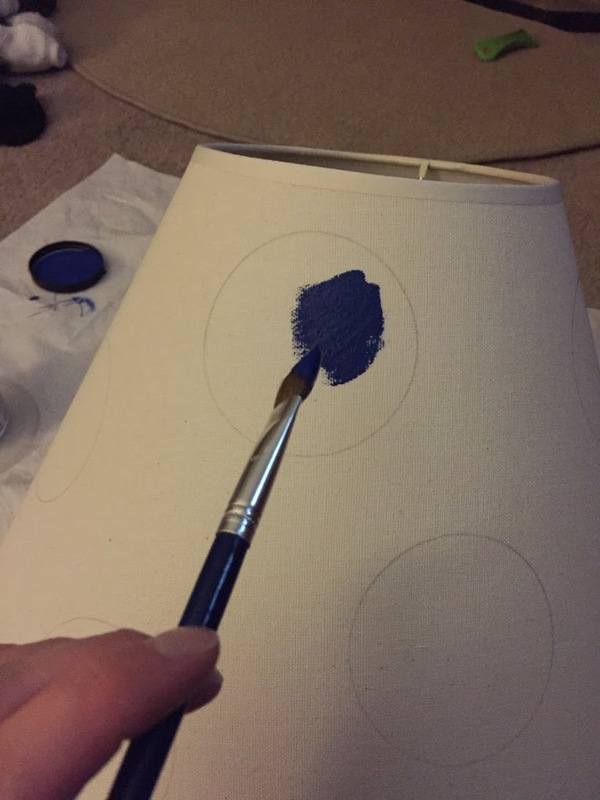 I ended up keeping the shade on the lamp while I painted, for the most part, since it was stable and also off the ground so I couldn't smear the back while I painted the front. The acrylic paint (just a $3 paint sample I had mixed up in navy at Home Depot) dried quickly, which was helpful. Once the full dots were finished, I really felt like though I liked it enough, it wasn't finished... Whatever that meant. 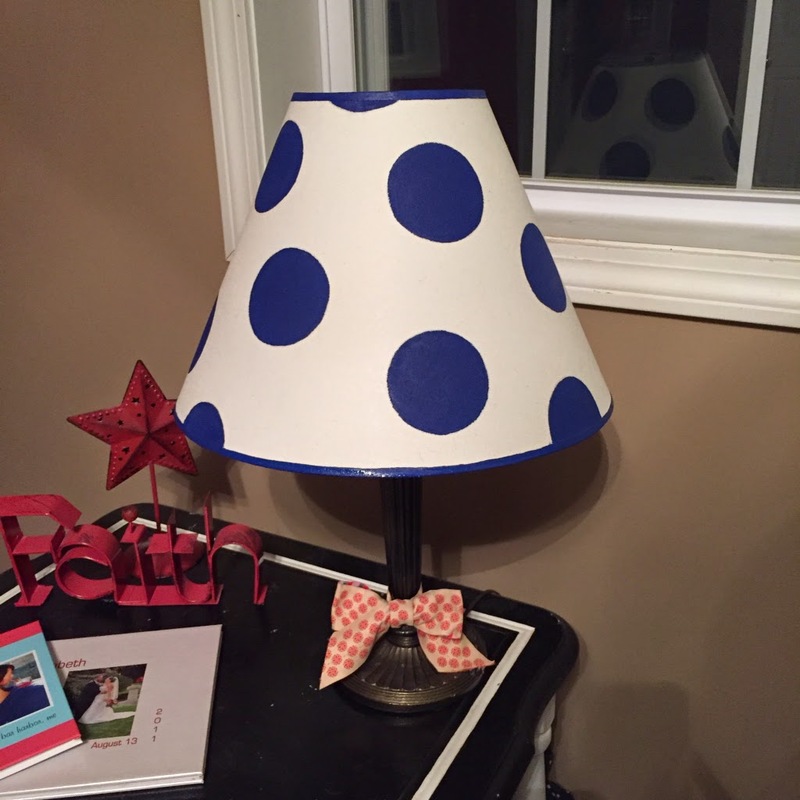 I tried to wrap some navy grosgrain ribbon around the top and bottom to add some contrast to the trim, but because it's a lampshade with a very angled slope, the ribbon just would not lay flat. The top might have been workable with some finagling, but there was no way the bottom would work. I may try to find navy ribbon with a bit of stretch, which would solve the issue, but I didn't want shiny, like the flat elastic I have on hand. In the meantime, I thought about a few different options, but decided to paint the existing trim with the same navy paint. Since there was already a straight line (you have to look closely at the photo two above, but it's there!) to guide me, it wasn't anywhere near as tricky as it would have been without the existing border. 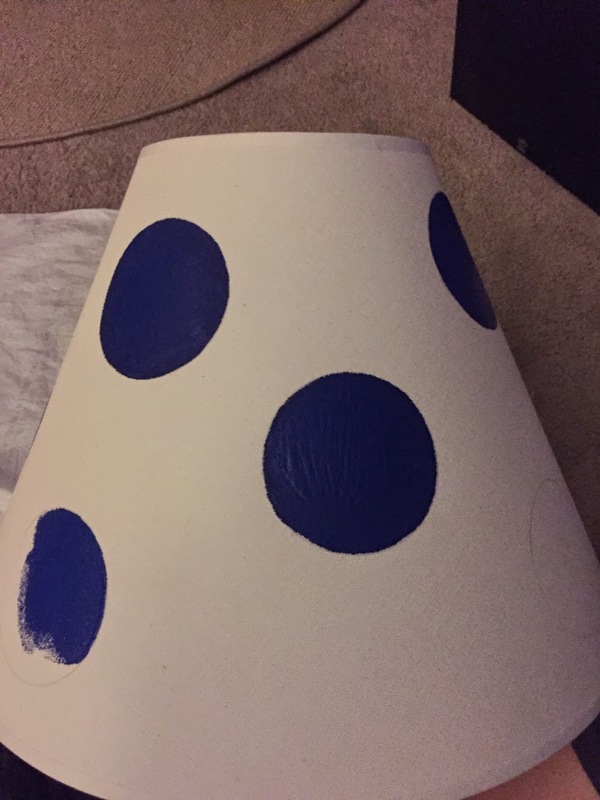 At the same time, I decided to add in some partial polka dots around the top and bottom. The trim and added dots ended up being the finishing touches I was looking for, and I am so pleased with the final product! While the painting took some time, this project was easy peasy! A steady hand, some good tv, and a blank canvas were really all I needed to make this fun and custom shade to add color, print, and pizzazz to the space. You could easily trace something smaller for smaller dots (some things I tried for size: a shot glass that I don't think I've ever used for an actual shot, the bottom of a glass, and a Tupperware top). You could also use something like a pencil eraser or wine cork to stamp even smaller dots. 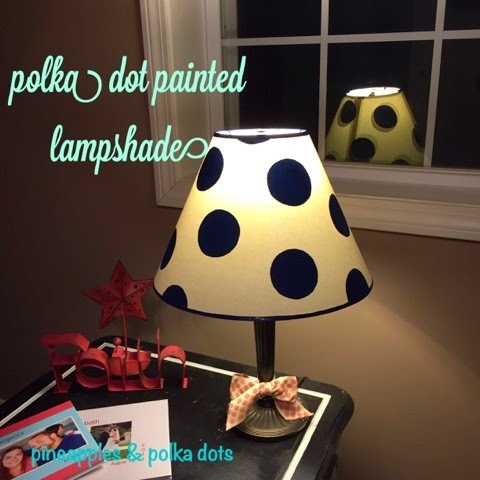 If polka dots aren't your thing, it would be easy to use painters' tape to make stripes, use a ruler to draw diagonal lines for a diamond pattern, or free hand just about anything! We Got a Makeover... In the Kitchen!